This year, my little neighbor asked for a Hello Kitty Cake. 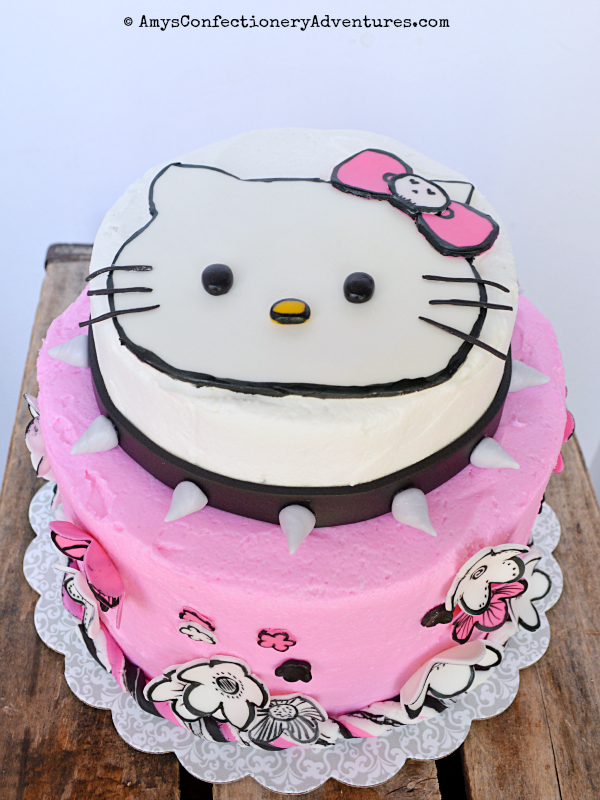 She found this inspiration cake online and was so excited because she thought it looked like a Monster High Hello Kitty Cake. Today’s cake is all girl! This cake was for a 5 year old who loves cheerleading! Each Thanksgiving, I’m in charge of the place cards. For the last several years, I’ve made place card cookies (see here and here)! They’re a unique and yummy treat! These are actually last year’s cookies that I never got around to sharing. 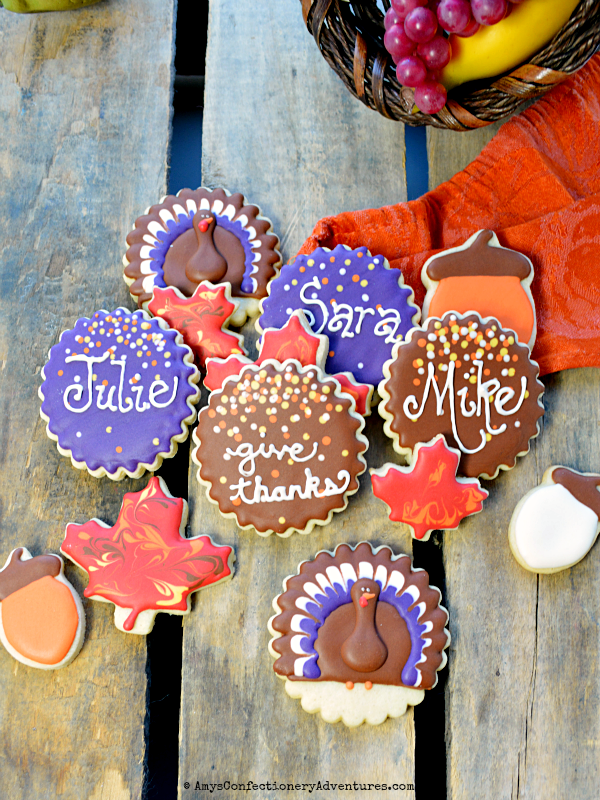 I’ve found that in addition to the typical fall colors (brown, gold, & orange), I love to add a pop of purple into my Thanksgiving designs. 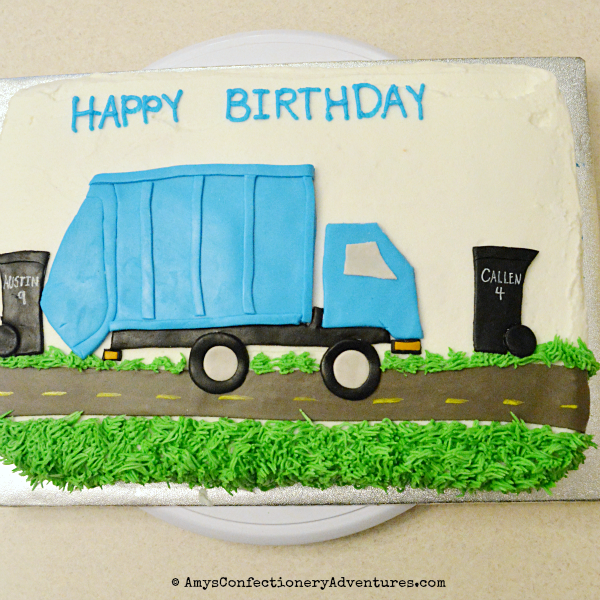 Today’s cake was for a little guy who loves trucks – especially garbage trucks! The garbage trucks in our town are blue, so I did my best to match up to the local garbage trucks & trash cans. 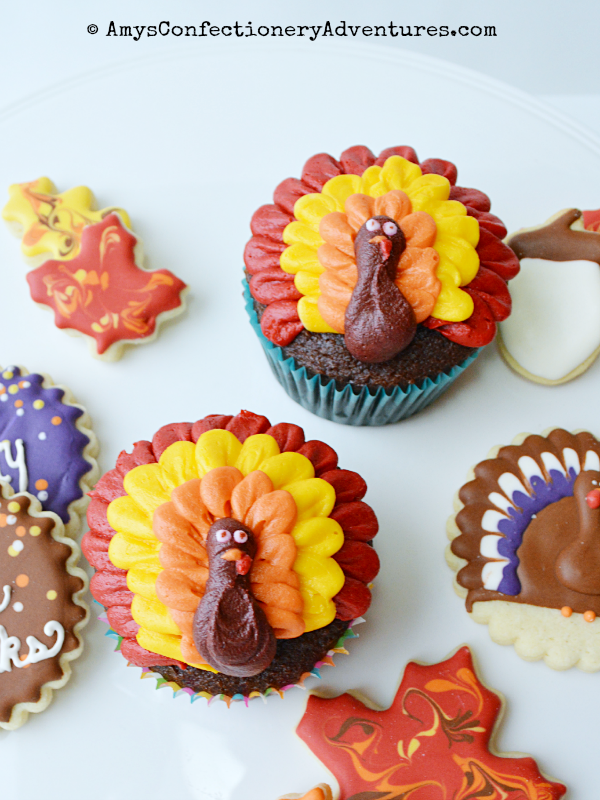 I think we deserve some turkey cupcakes, don’t you? I made these as a fun little side project when I had some extra cupcakes leftover from another baking project! Spud turned 5 in August. He was set on a Paw Patrol cake for nearly the entire summer. I had a cake sketched out and bought a toy to use as the topper. I was prepared. Then, two weeks before his birthday. Boom. Paw Patrol is out (Mom, I don’t even like Paw Patrol….whaaa? 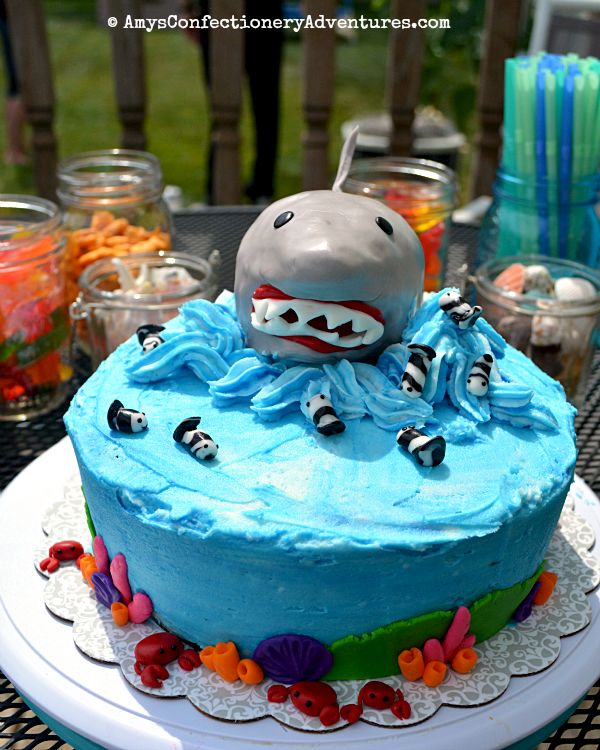 ), and he’s suddenly obsessed with sharks and wants a shark cake. And not just any old shark cake. It needed to be a vicious looking shark with lots of teeth. And he had to have pilot fish around to clean his teeth. 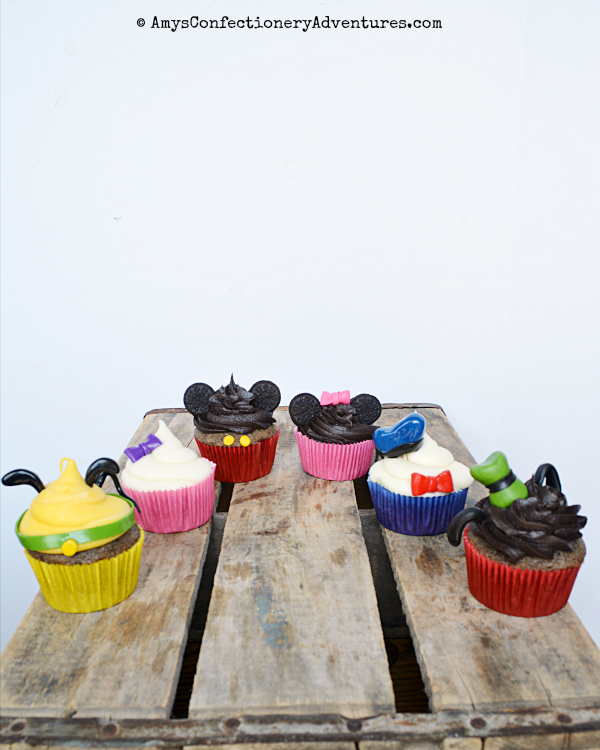 When I had a few extra Oreo & Strawberry Cupcakes left from the Mickey & Minnie Cupcakes, I couldn’t resist making the whole Clubhouse gang! This sweet little smash cake/cupcake combo was for a 1st birthday bash for boy/girl twins! The Minnie cakes were Strawberry Sour Cream cake with Cream Cheese frosting (delish!). 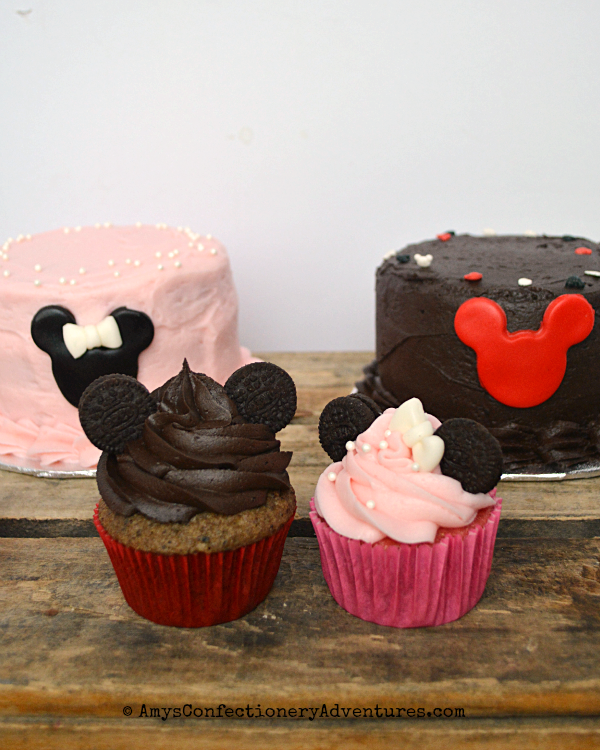 The Mickey cakes were dairy-free Oreo Cake with Dairy Free Chocolate Frosting. And it’s not actually black! I used special dark cocoa powder for the frosting, which is such a dark brown, it can pass for black – perfect for a baby’s first cake!